Government officials in Mozambique and Botswana are being encouraged to support low cost footpaths and safe crossings for schoolchildren, in the latest phase of Amend’s campaign for safe and healthy journeys to school across Africa. 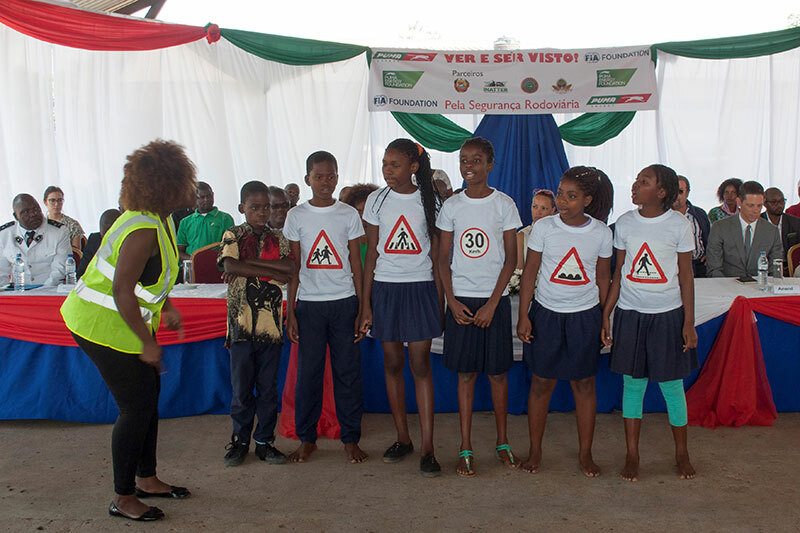 The FIA Foundation is supporting AMEND, a road safety NGO focused on sub-Saharan Africa, to implement its School Area Road Safety Assessments and Improvements (SARSAI) programme across ten African countries between 2017-19. Building on the Foundation’s support for SARSAI programme in 2015-16, the programme for 2017 seeks to reduce road traffic injury rates at high risk primary schools and promote uptake of the principles of SARSAI and safe school areas by the government. AMEND’s SARSAI programme is focused on reducing injuries around school areas through a systematic assessment of road infrastructure around schools, improvement of physical infrastructure, road safety education and community engagement. A population-based control study carried out in Dar es Salaam, Tanzania in 2015-16 showed that there was a 26% reduction in injuries at schools receiving SARSAI. This offers a clear evidence on the effectiveness of SARSAI model and makes a case for its scaling up across the region in sub-Saharan Africa.